Honda Automobile (Thailand) has begun the destruction of 1,055 brand-new vehicles which were submerged in the flood at its plant in Rojana Industial Park in Ayutthaya province. The process began today and will be completed in a month, executive vice president Pitak Pruttisaikorn said on Tuesday. Headed for the wrecker are 217 Brio cars, 213 Jazz cars, 353 City cars, 150 Civic cars, 91 Accord cars, 30 CRV vehicles and one Freed car. Mr Pitak said said Honda has tried its best to keep the flood out of the plant, but it had proved impossible. The flooding started at its plant on Oct 8. The company was able to move most of its vehicles from the industrial estate, but 1,055 automobiles could not be transported out in time. "Honda has a clear policy of maximum quality control. It has strict procedures for the vehicles' destruction. They will not be sold. "To reassure customers that no parts [from these cars] will leave the plant or be reused, all stages of their destruction will be carried out only within the plant," he said. The company had invited officials and reporters to witness the destruction. The flooded vehicles will be properly dismantled and destroyed. Destroyed parts will be either recycled or dumped in landfills, he said. 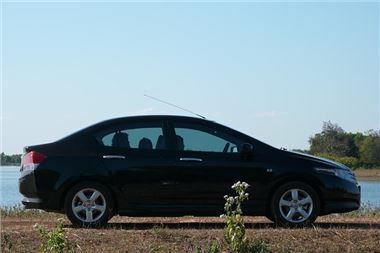 The company will post the chassis and engine numbers of all destroyed vehicles on its website www.honda.co.th for customers to check. Mr Pitak said the company would try to resume production at the industrial park as soon as possible. The Honda plant at the Rojana Industrial Park in Uthai district of Ayutthaya normally employs 7,074 people and can produce up to 240,000 vehicles per year. It is a major production base of Honda in the Asia and Oceania area.